Dr Wong Jyh Eiin, Nutritionist and Council Member, Nutrition Society of Malaysia. According to the National Health and Morbidity Survey, the prevalence of stunting in children under 5 years old in Malaysia has increased from 17.2% (2006) to 20.7% (2016). These numbers show that stunting remains a public health concern, whereby 1 in 5 children under the age of 5 suffer from stunting in this country. Stunting is defined as being lower than average height for a child’s age, which is more than two standard deviations below the World Health Organisation (WHO) Growth Standard median. Stunting is a form of chronic malnutrition that is largely irreversible, and can lead to more serious problems if no measures are taken to prevent it. Do you know if your child is a part of the statistics? The key to tackling the issue of stunting is to know its many causes. All the factors below can interact to hamper a child’s growth and development, leading to stunting. Poor maternal health and nutrition before, during, and after pregnancy can hinder a child’s early growth starting from conception. Other maternal factors, like adolescent pregnancy and short birth spacing can interfere with nutrient availability to the foetus. Poor feeding practices,including non-exclusive breastfeeding by introducing food or water too early, as well as complementary feeding that is inadequate, inappropriate for age, or untimely. Recurrent infections and illnesses, e.g. diarrhoea, due to poor hygiene and sanitation. Other factors include poverty, food insecurity, neglect and lack of stimulation from parents or caregivers, poor access to healthcare facilities, and non-responsive feeding. Cause slower cognitive and physical development, diminished mental ability and learning capacity, and lead to poor performance at school. Increase the risk of overweight, obesity and other nutrition-related chronic diseases (e.g. diabetes, heart diseases) later in life, which can cause reduced productivity as an adult due to poor health. Lead to a weaker immune system, thus resulting in more ‘sick days’ both as a child and as an adult. The effect of stunting is largely irreversible after the age of 2. Choices made by parents will influence a child’s growth and developmental potential. Thus, parents have to ensure that their children receive healthy and sufficient nutrition to prevent stunting. Focus on the first 1,000 days: The 1,000-day window, starting from conception until the child’s second birthday, is a critical period of growth and development. Focusing on this period is important as growth failure often begins here. Ensure that both mother and baby are healthy and receive sufficient nutrition during and after pregnancy. Timely introduction of complementary foods: By 6 months, most infants are developmentally ready for complementary foods as breast milk alone is no longer sufficient to meet the child’s needs of energy and several nutrients. This is the right time to introduce complementary food and it has to be adequate, safe, and age-appropriate in terms of food texture and preparation. Exclusive breastfeeding until 6 months: Optimal breastfeeding practices are the basis to a child’s healthy growth and development. These include early initiation, frequent, on-demand and exclusive breastfeeding for 6 months, as well as continued breastfeeding until two years. Breast milk provides complete source of nutrients and natural growth stimulators for infants, and contributes to the development of their immune systems. Healthy feeding practices: Introduce a variety of foods from all food groups including plant-sourced foods (vegetables, fruits, fortified cereals) and animal-sourced foods (dairy, meat, poultry, fish and eggs) during complementary feeding. 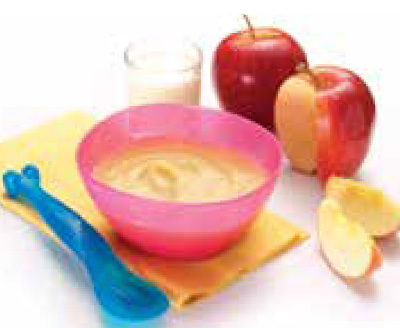 Ensure your child is given meals 4-5 times a day, and gradually increase food quantity. Nutrient-dense food, such as milk which is high in important nutrients that support growth, is also vital to support children’s rapid rate of growth. Keeping track of growth: Children’s growth can be monitored by tracking their developmental milestones. Identifying stunting visually can be difficult. Therefore, it is important to measure children’s height and weight regularly, and compare them to the WHO growth standards. Voice any concerns regarding your child’s growth to his paediatrician. Stunting is the most prevalent form of child under-nutrition that is also preventable. Stunting has early beginnings, but long-lasting and largely irreversible effects on physical and cognitive development of children. Providing children with adequate and healthy nutrition is crucial to ensure their optimal growth and development.